This page has a few notes about early rail transport, before the days of steam, none of the pictures are specific to the Aberford Railway, they are merely to demonstrate the principles involved. The title photograph shows a horse drawn waggon, in this instance with two pit horses doing the pulling, naturally the horses would have required a leader, as in the photograph. Although wages were poor the opportunity to pull many waggons by steam traction, would have dispensed with a large number of men employed solely in controlling the horses, also the number of horses would have diminished. A point to note is the timber safety brake on the rear of the waggon, a rudimentary means of preventing the load from rolling backwards by way of the pole jamming into the ground if the direction was reversed. The above picture taken at the National Railway Museum, York is of a very early type of rail, here the rolling stock would have flat faced wheels of the type used on roadways. 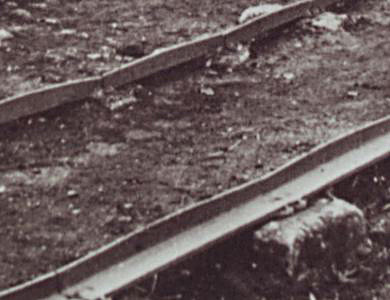 The internal upstand forming an L shape would have prevented the waggon from coming off the metal track. Suitable for very low speeds and not suited to creating points! 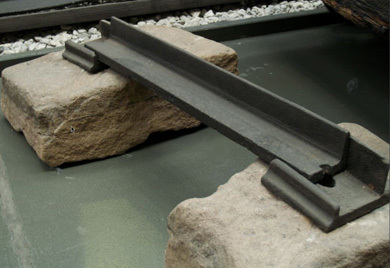 Another picture taken at the National Railway Museum, York is of a very early type of rail. 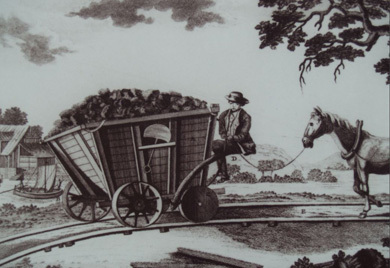 The above print is a representation of coal transport, probably the late eighteenth century, in the background is a canal barge which is very similar to the one which George Dixon used in his introductory paper on the Gascoigne Canal and Waggonway proposal. 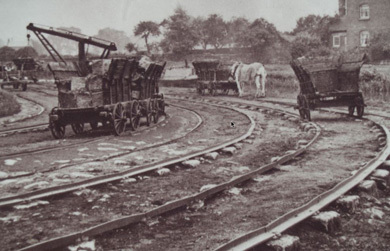 This could be how the coal was shifted from Garforth to Aberford in the very early years of Aberford Railway. 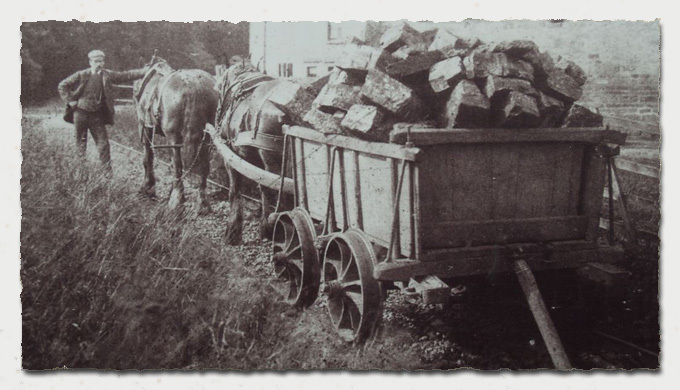 Note the horse, which would have been used to pull the empty waggon back after delivering the coal. This type of arrangement would have used the L shaped rails.